Just minutes from Walt Disney World, Universal Orlando, and SeaWorld, and Wet 'N Wild water park, Westgate Vacation Villas is located on one of Orlando’s most scenic lakes. 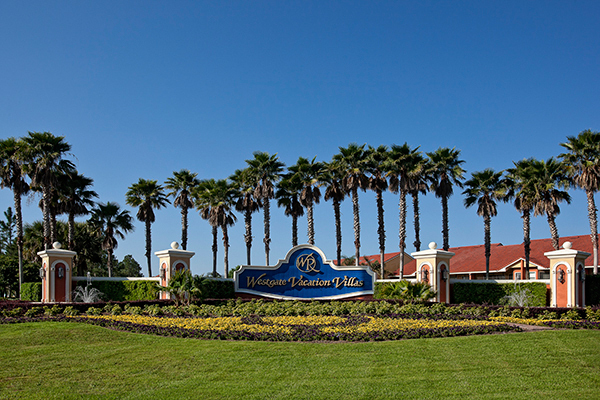 Situated around Lake Seagull, Westgate Vacation Villas is just a mile from Walt Disney World®. Westgate Units boast such first-class amenities such as a master bedroom with a television, whirlpool, separate shower, a full kitchen, separate living and dining areas, a screened porch or patio, and leather furniture! Beyond the comfort of your villa, guests have access to tennis, basketball, shuffleboard, and volleyball courts, 14 swimming pools with hot tubs, mini-golf, and paddleboats for the lake. There are also planned adult and children's activities, a full-service spa, fitness center, theatre, and you simply must dine at the on-site restaurant. The resort also has kid's swimming pools and playgrounds, grocery store, and bicycles for the whole family or just individuals to ride at once. There are many area attractions to keep you busy including SeaWorld, Universal Studios, and Wet 'N Wild water park. Want to reference this page to other timeshare owners you know? Just copy paste the link below.